There is a bad news for all the WhatsApp users as they need to worry about data privacy.As per EU lawmakers, a deal is to be expired today, allowing WhatsApp to share its user details with the parent company, Facebook. The social media giant, Facebook is all armed to set the WhatsApp users across Europe to anger by being able to accessuser’s information from one of the world’s most popular messaging application. The social network plans to access user’s data for better targeting users with suitable ads on Facebook. That’swhen a senior European Union lawmaker revealed that the deal was soon to get agreed setting the two companies share information about their users finally, after months of deep discussions and wrangling. The update is the hottest stage of a long-rundiscussion between WhatsApp, Facebook, and other regulatory groups. Facebook, which merged WhatsApp in 2014, caused a big controversy last summer when it declared plans forusing user’s information from the application to encourage ads displayed on Facebook users' News Feed. This includes accessing the contact number associated with the user’s account on WhatsApp, to enable Facebook, California-based social network to track users’ profiles between the two platforms – this helps the company in gathering more data for advertisements. Facebook previously stated that it would ensure to keep WhatsApp’s user data private, keeping it separate from social network. Facebook founder Mark Zuckerberg during the acquisitionstated: "It would be pretty stupid of us to interfere." Also, WhatsApp got sued in the German court earlier this year by its angry users, when the app didn’t keep itspromises. Facebook's changing stand on not interfering with WhatsApp users' privacy resulted in anger among its users. According to the sources, it claims to share account’s information for improving a user’s ads experience on Facebook. As stated in the past, WhatsApp aims to work with other companies of Facebook in the future to keep the users updated about it. Well! This is just one hell of a change, Facebook is making, who knows what’s lined up next. User’s data staying safe on WhatsApp is no more an option, as all the conversations won’t be end-to end encrypted. With all this happening, it’s time to stop sharing information– on WhatsApp or Facebook, and seek other secure options like Signal. Right from Russia to Edward Snowden, any article about data security and encrypted messaging application explains Signal with it. 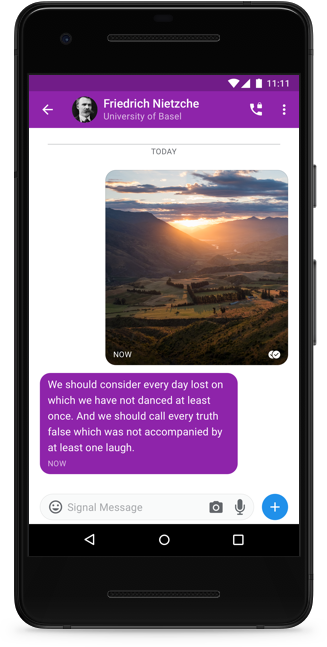 Every message shared over Signal supports end-to-end encryption. This security feature makes it the most secured messaging application. 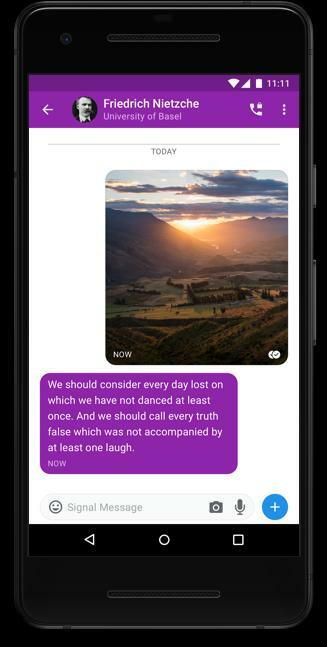 Also, Signal is open-source, free, routinely audited, peer-reviewed meaning that most private messaging platform considering from a security perspective.You can easily share communications that are end-to-end encrypted without worrying about those prying eyes- accessing your private data.